Jenifer at the stargazers booth. KOTA KINABALU: Education in Sabah must be flexible enough to cater for children in the rural areas, said Assistant Education and Innovation Minister Jenifer Lasimbang. She said that there were many alternative ways of attaining education such as homeschooling and community schooling rather than attending government school alone. “There are many ways to do it for as long as we are not confined to a national policy then we can provide alternative way of attaining education. “There are many solutions out there provided we are not tied down to one policy where you don’t have to send your kids to a government school. “… and we cannot push towards compulsory schooling at the age of seven and must go to a particular school. We have to be flexible enough to cater for very rural areas,” she explained. Jenifer also said that they had to explain to the federal government that the situation in Sabah was very different and highlighted that the state had a very challenging landscapes, and in the rural areas, one had to walk hours to get to a government school. “… we have to look at a solution and ask for leniency. Let’s negotiate terms because our goal, eventually is to have an educated society and we cannot force the children to walk four hours or stay in a hostel at the age of seven. It is not right for us to do that to the child and to the family,” she said, adding that technology could also be used to provide education. “All of this we have to go through proper planning, there are great ideas out there but the most important thing is that whatever it is we want to implement involving education, especially for aged 18 and below, the students are children and we must look into it in the best interest of the child,” she said. On discussions with Education Minister Dr Maszlee Malik, she said the response to Sabah’s demands for education infrastructure was positive. The demand was part of restoring Sabah’s rights under the Malaysia Agreement 1963 (MA63), she said. Jenifer said the state was working to have an emergency fund from the federal education ministry which could be used for the immediate repairs of damaged school buildings due to natural disasters or fire, etc. “We don’t have to wait for six months, (or) one year to fix it. If the state has the fund and we are given the jurisdiction to be able to fix RM2,000 roof, why can’t we do that? Why do we have to wait from KL (Kuala Lumpur) to make a decision and come back? 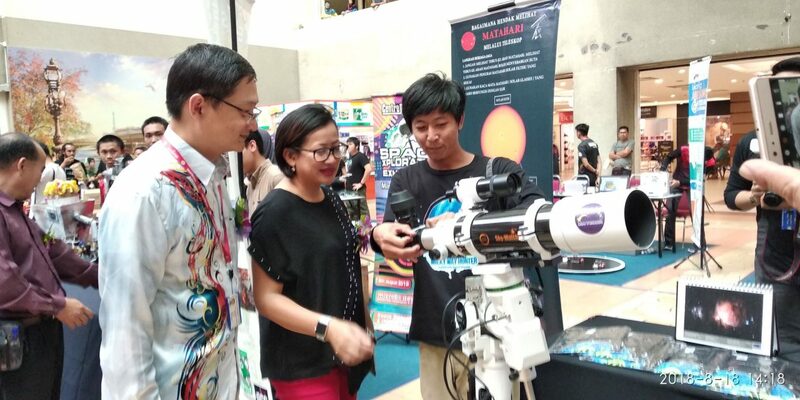 Because we need the children go to school, so why not just give some small amount of money, no need for much, just to fix it,” she saidafter officiating at Space Odyssey which was organized by the management of Centre Point Sabah at the mall here yesterday. The event also marked as the 28th anniversary of the mall and various activities were held, including Space X-Ploration Exhibition, Miss CP Ambassador and Annual Street Dance. Space X-Ploration Exhibition was an effort by the Centre Point management in supporting the government foundation in cultivating space and innovation especially among the youth community, and among the exhibitors were Petrosains Playsmart Kota Kinabalu, Polytechnic KK and Sabah Stargazer. For Miss CP Ambassador, 15 finalists were chosen for the grand finale on August 31 while the preliminary round for the dance competition will be on August 25 and all of the events will be held at the Palm Square, Centre Point. Also present were the director of Research and Innovation Department of Kota Kinabalu City Hall (DBKK), Benedict Oliver Lidadun and general manager of Pan Pacific Constructions Holding Sdn Bhd, Edward Chang.